Fortress Of Freedom Board :: View topic - IAIJ Side Event Available to Watch on UN Web TV! 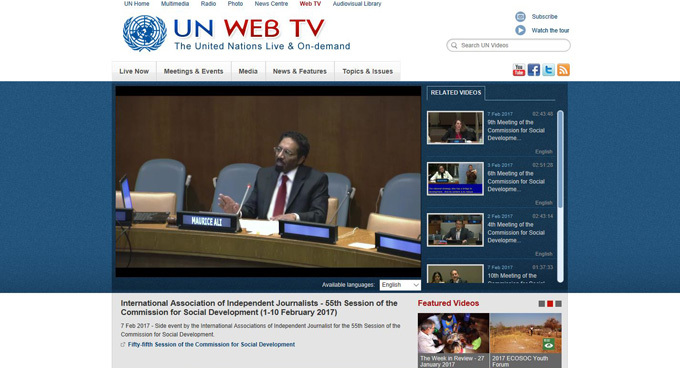 Posted: Tue Jun 06, 2017 11:52 am Post subject: IAIJ Side Event Available to Watch on UN Web TV! By Samantha Blackwell, IAIJ Inc. This is just a reminder that you can still watch our side event in its entirety on UN Web TV! The side event was held at United Nations Headquarters in New York City on February 7, 2017 at 10:00am in Conference Room 4. 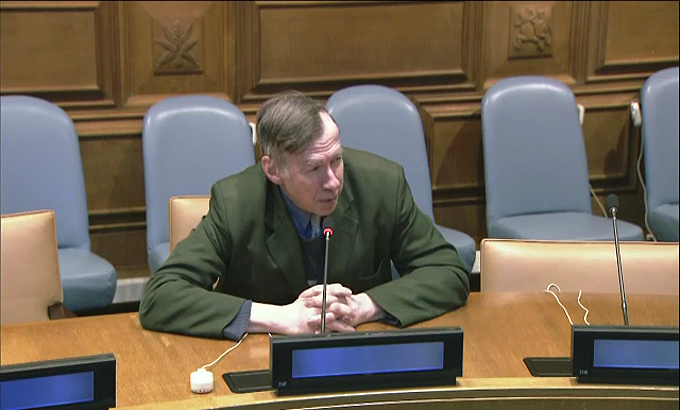 The side event presented two studies with the first being "The Issue Of Permanent Ongoing Participation of the General Public at the United Nations" and later "A Positive Major Mandate for Humanity at the United Nations". 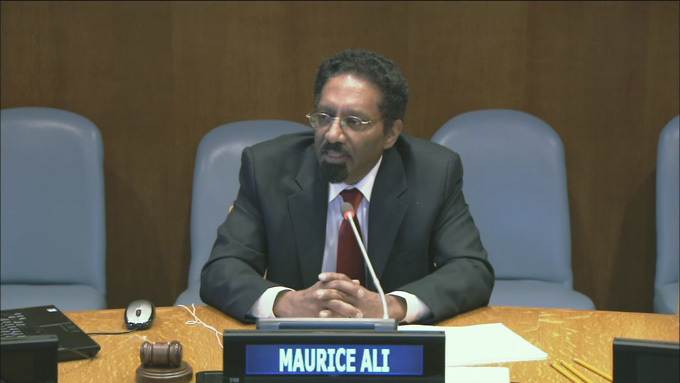 Maurice Ali of IAIJ hosting our side event! 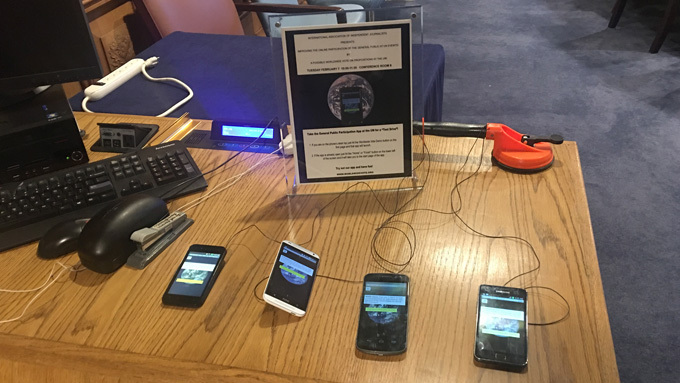 The main presenter of this side event was Maurice Ali who is President of the International Association of Independent Journalists Inc. and there was also a demonstration table of cell phones at the door for anyone to "test drive" our world wide voting application for the United Nations. Our worldwide voting demonstration table at the event! The side event also had interesting commentary from the other participants. A well known figure at the UN critiques the presentation and the issues!